If it’s true that you are what you eat, then you can learn a lot about people by taking a look inside their refrigerators. In fact, communities are well defined by the food they consume. 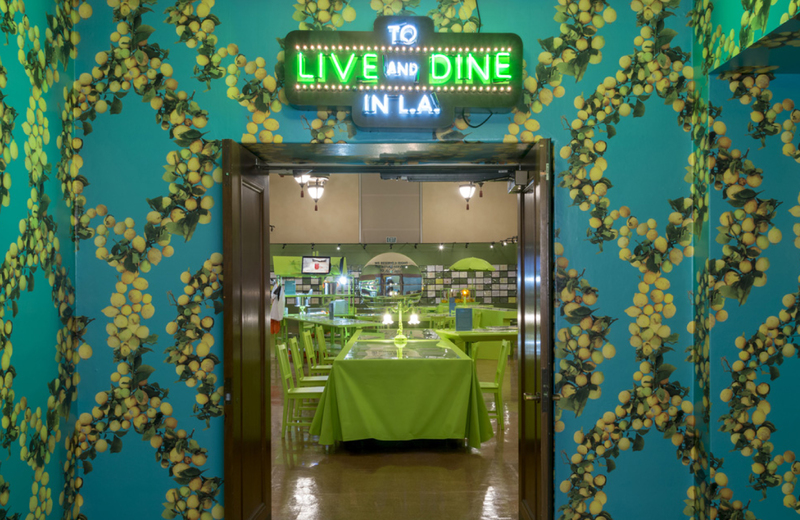 That was exactly what Josh Kun had in mind when he set out to curate the new book, To Live and Dine in LA: Menus and the Making of a Modern City. A USC professor at the Annenberg School for Communication and Journalism, Kun recently spoke at the Los Angeles Times Festival of Books about the project along with consultant (and L.A. food culture’s favorite son) Roy Choi, who also wrote the Forward. Composed from 9000 menus – and honed down to a palatable 200, the pages are now on display at the Central Library for you to browse. Having opened this past weekend, this tour de force exhibit of menus from L.A.’s past constitutes a unique culinary collection. From Mexicali to Asian-fusion, food culture in L.A. has come a long way. So sift through the anthropological history of our local cuisine and try to imagine a time when kale wasn’t on every single menu in Los Angeles. Obviously, there are more than just books at the Central Library. We reported on their picture history of the L.A. music scene] a couple weeks ago. Just a short stroll from the downtown apartments at Eighth and Grand, it's a local landmark that shouldn't be missed. See you at the library! Ongoing, 630 West 5th St.